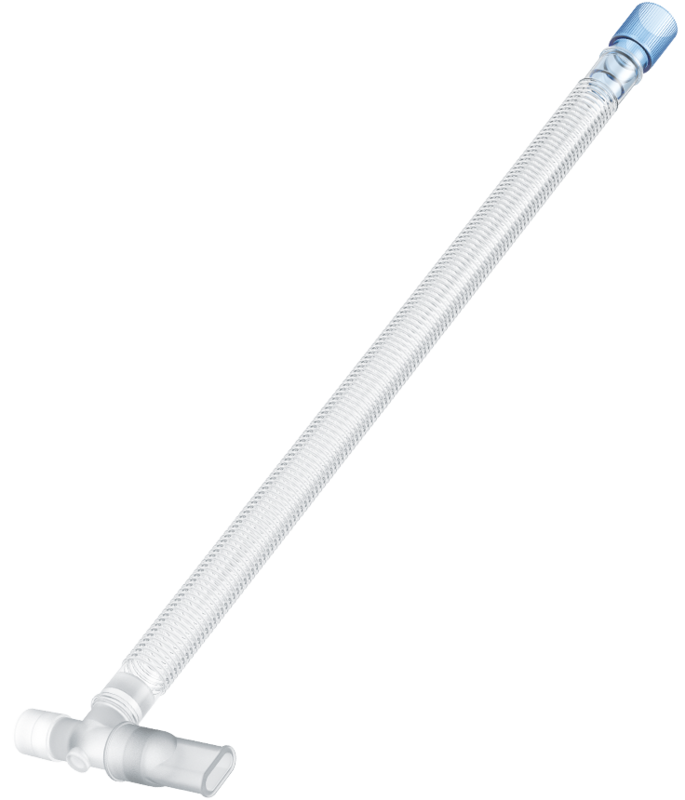 Inteliflo® is a single limb anaesthesia circuit with a double lumen tube divided by a central longitudinal septum. The septal wall running along the tube length reduces compliance, delivering accurate gas volumes. Absence of a Y-Piece lessens dead space, and when coupled with the lighter circuit weight, torsional forces transmitted to the patient airway device are reduced. An integral monitoring line with machine end gas sampling port, or patient end gas sampling at the elbow meets set-up preferences. 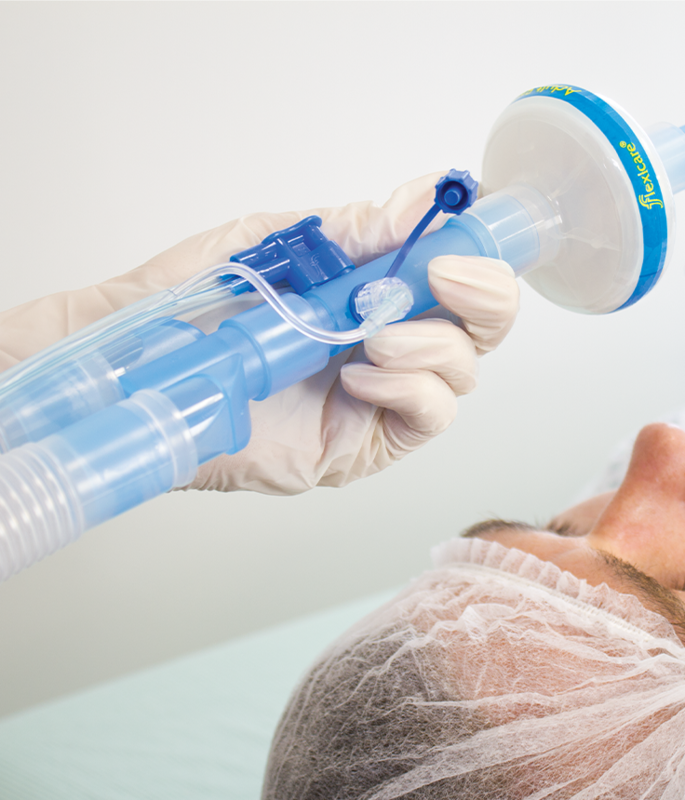 Transfer of heat from expiratory gases through the septal wall adds warmth to the inspiratory gas flow, helping combat the cooling effect of the oxygen supply and anaesthetic agents. Flexible, kink-resistant tubing maintains flow even if twisted through 180°. Versatile system is suitable for use in Operating Rooms, Transport Ventilation, MRI Suite, or for patients requiring short term mechanical ventilation in an ICU. Less plastic material disposal compared to conventional Dual Limb circuit or multiple circuit usage for different therapys. 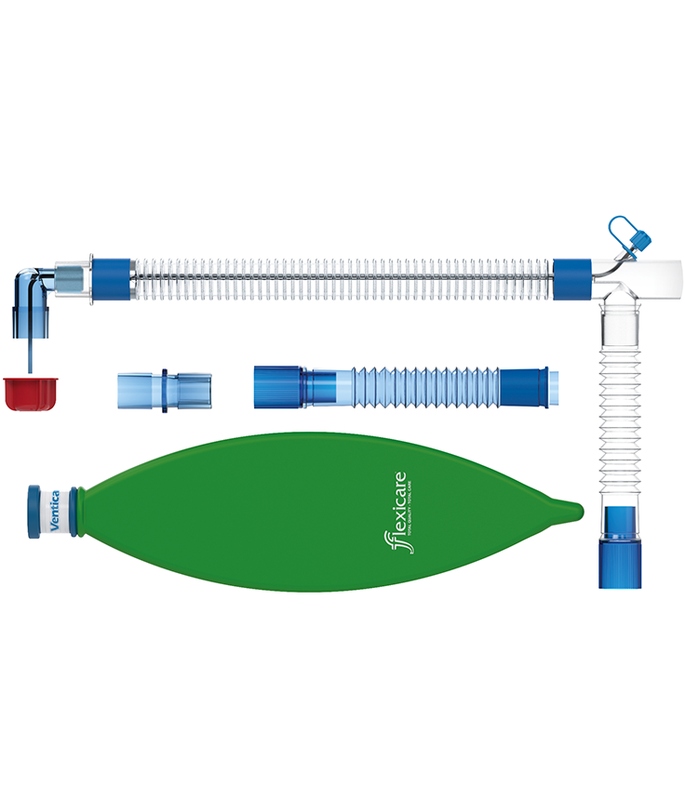 Disposable Patient Spirometry Kits for use with enabled GE Carestations® and Carescape® modules. Monitoring line lengths ranging from 2m-6m means a convenient size is available, whatever the breathing system configuration. 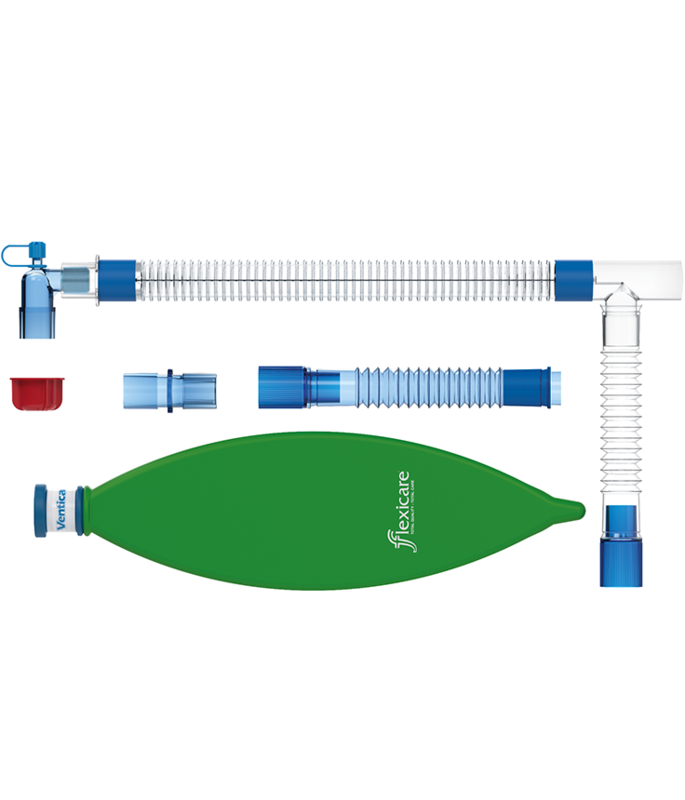 For ease of set-up – Blue for sensor tube and White for monitor module. Angled connector reduces risk of kinking and possible impingement against other equipment. 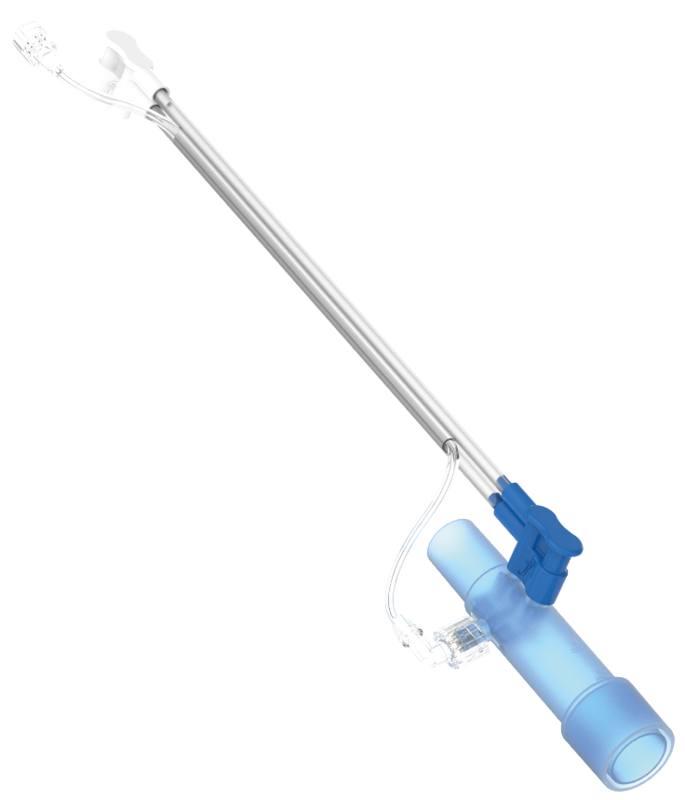 Reduces clutter, with the ability to separate the gas sampling line should extra reach be required at both the sensor tube or monitor module end. Flexicare’s patient spirometry sets are compatible with all GE and Philips anaesthesia machines that offer a spirometry option. 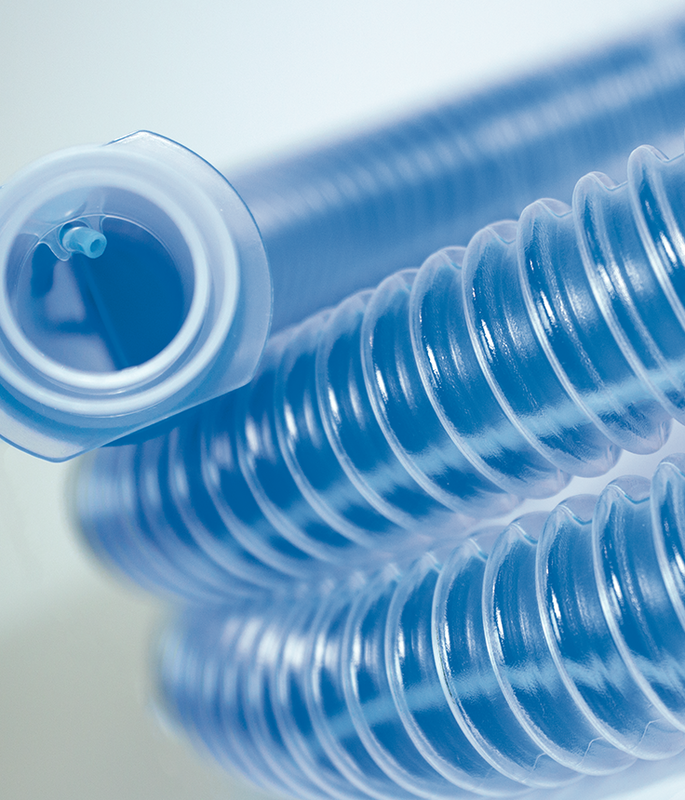 They are compatible with all of Flexicare’s range of breathing systems and will monitor anaesthetic and airway gases, lung mechanics (volumes, flows and pressures). GE is a registered trade mark of General Electric Company. Carestation and Carescape are registered trade marks of GE Healthcare. Inhalation of a mixture of oxygen and nitrous oxide provides safe and effective pain relief during childbirth and short, potentially painful procedures An incorporated demand valve is regulated by the patients inspiration pattern allowing gases to be controlled and not lost to the environment, reducing costs and exposure of staff. Crush-resistance lightweight low resistance corrugated tubing that will maintain flow even when twisted through 180°. 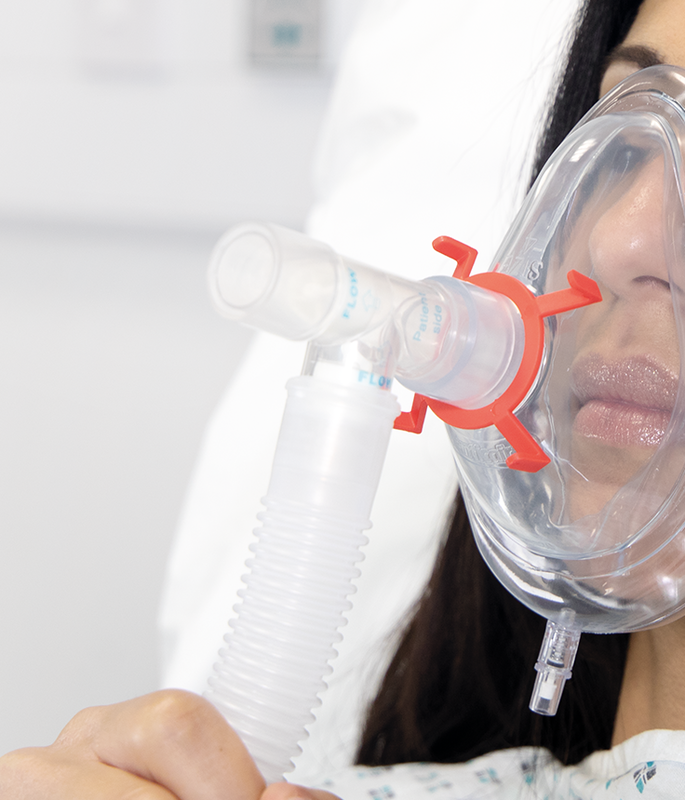 Nitrous oxide / oygen circuits are available for use with a mouthpiece or mask providing patient choice. 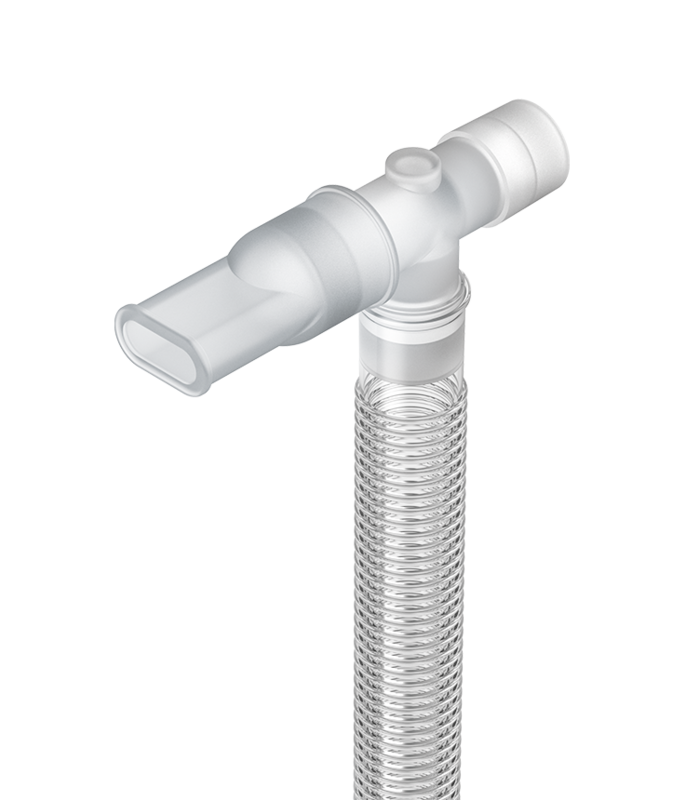 The T-Piece incorporates two non-return valves for gas delivery on demand and to prevent rebreathing of exhaled gases. Non-uniform granules maximise CO2 filtration without restricting gas flow. 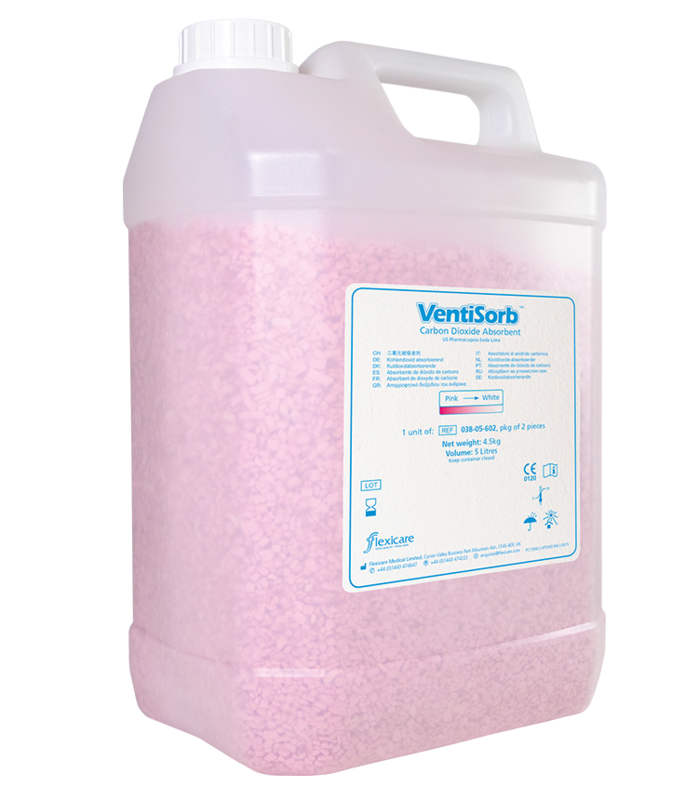 VentiSorb is available in two different colour options, giving clear visual indications of the level of active soda lime remaining available for CO2 absorption. both conforming to International Standards. When exhausted, VentiSorb will change colour, indicating that the soda lime needs to be replaced. This should be used alongside CO2 monitoring to confirm compound exhaustion. Ventisorb is resistant to dust formation in comparison to other granular soda lime absorbents.